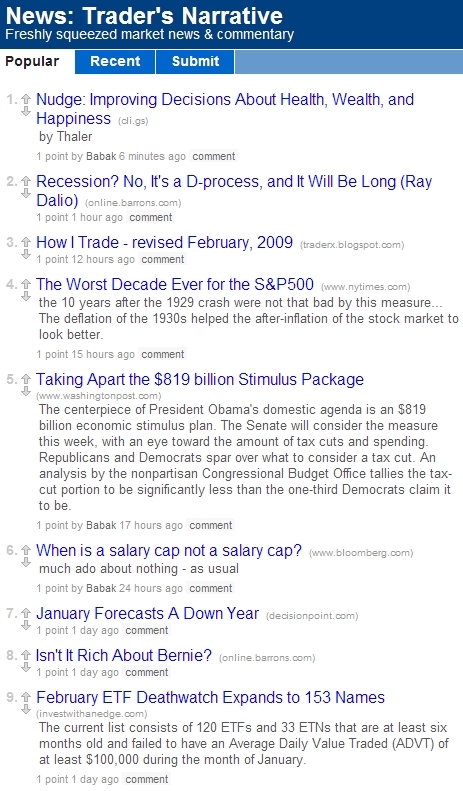 Published February 7th, 2009	in Misc. Markopolos : tell me again why this guy isn’t running the SEC? And remember to check regularly since there are interesting links added regularly throughout the week.